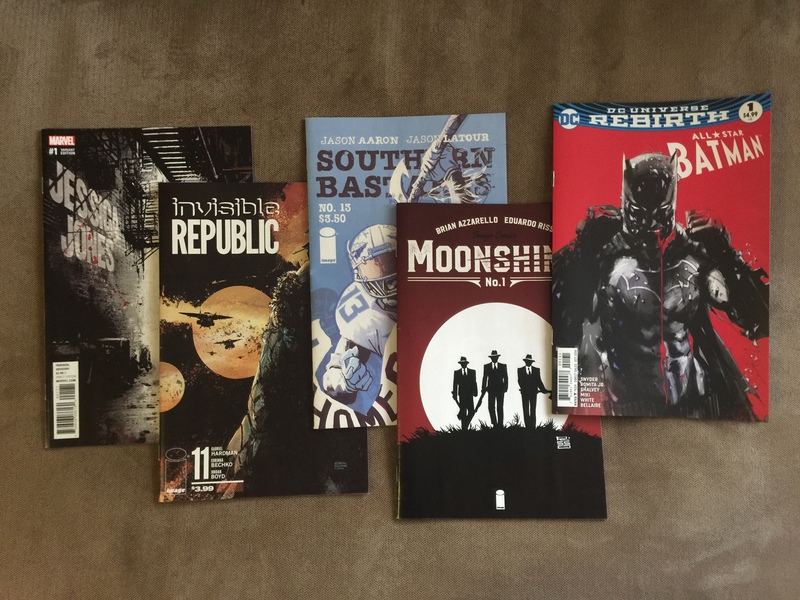 Invisible Republic is my favorite book, hands down. Image is putting out the best books right now with out question, the creativity coming from them is insane. I’m not a big DC guy other than Batman (dark and street level Batman) and he is usually the only thing I read from them. I ignored Batman Rebirth at first, I didn’t really like what I saw with some sort of flying super hero in it. I want to keep up with the character, so I finally checked it out. I was surprised, I’ll stick around to see how it goes. I really liked this new Calendar Man idea too. I won’t spoil it for the single digits of people that read this, but it is really cool. 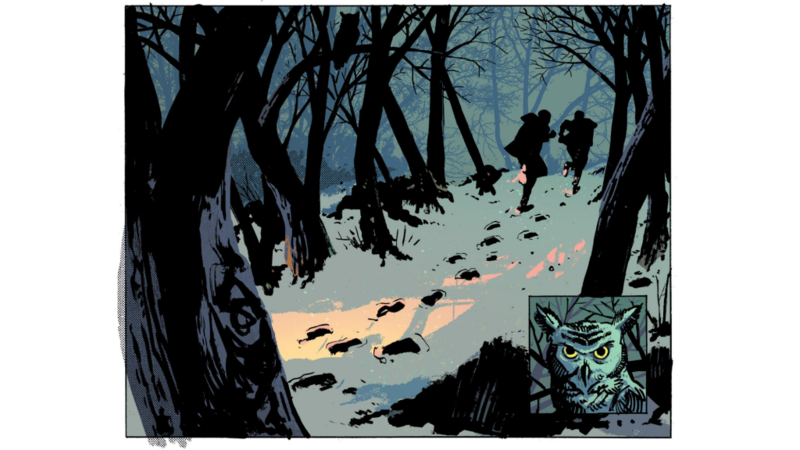 I had to mention that Paul Azaceta and Elizabeth Breitweiser are doing amazing work on Outcast too. This is a big inspiration to the work I am doing on my new book. I opened this up and I was like, this is exactly what I am trying to make my book look like. I have been using a color scheme similar to this, it fits the mood of my upcoming book perfectly. I am trying to complete my Uncanny X-men run from when I was a kid. I always wanted to read all the classic X stories. 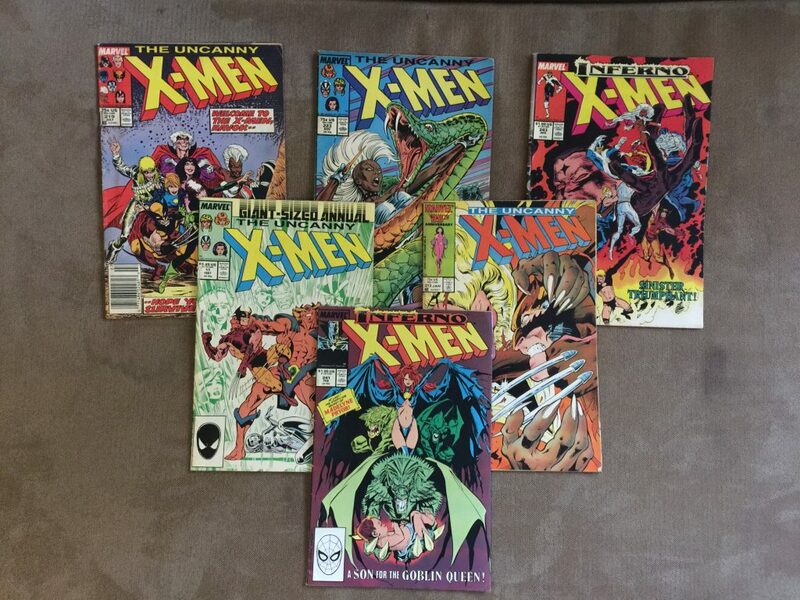 That is actually something on my bucket list … to read the entire X-Men run from 1 on. Finally, through Marvel Unlimited I am trying to catch up on some other great runs that I missed out on during my reading hiatus. Besides X-men I am also reading the Bendis Daredevil run. When I was growing up I didn’t pay much attention to that character. But after reading Mark Waids recent take on the character and since the tv show came out, I am intrigued. I am loving this. 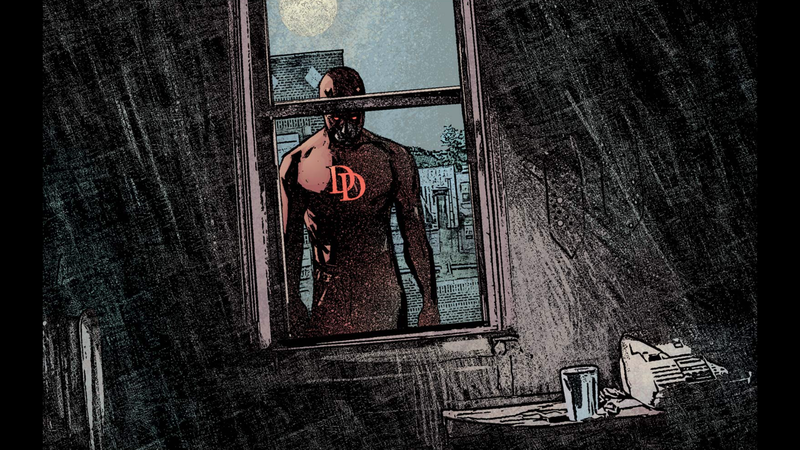 Alex Maleev’s art is amazing. I have had screen grabs of his work in my “inspiration folder” for years, but never really read a book of his. I didn’t even realize he was on this until I started reading it. And Bendis is so easy to read. I don’t know a better way to explain it or if that is the right way. His writing isn’t shallow or simple or anything, but it’s just easy to read. His dialogue flows and before you know you have read 4-5 issues. I really wasn’t reading comics when he got big and took over Marvel. So it’s cool to go back and see what made him the name he is. Great stuff. 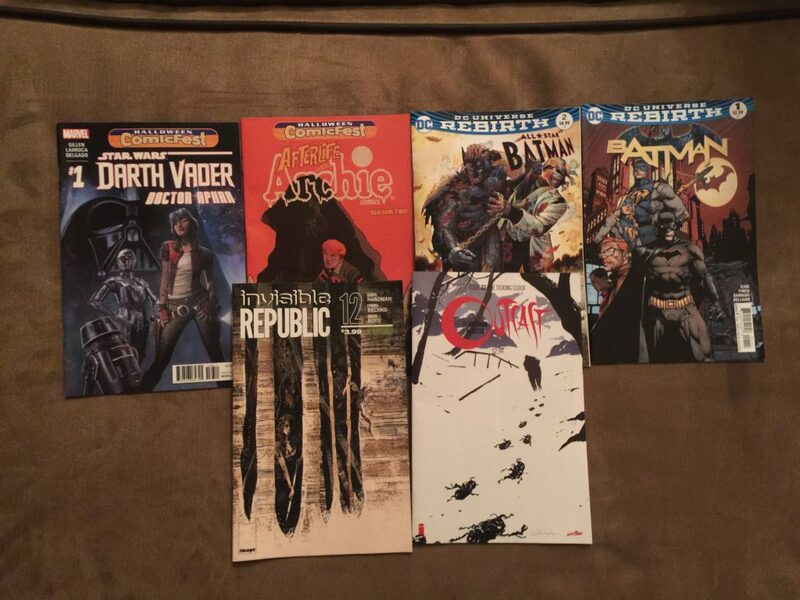 My pick up this week. Invisible Republic is hands down the best book out right now. Psyched to have a new Alias (Jessica Jones) book out by Bendis and Gaydos. I love some Gaydos art. I’m not sure about Moonshiners yet, but Azzarello and Risso are awesome together, 100 bullets is one of my favorite series all time. It was one of the books responsible for getting me back into comics after a long hiatus. Dollar bin finds! 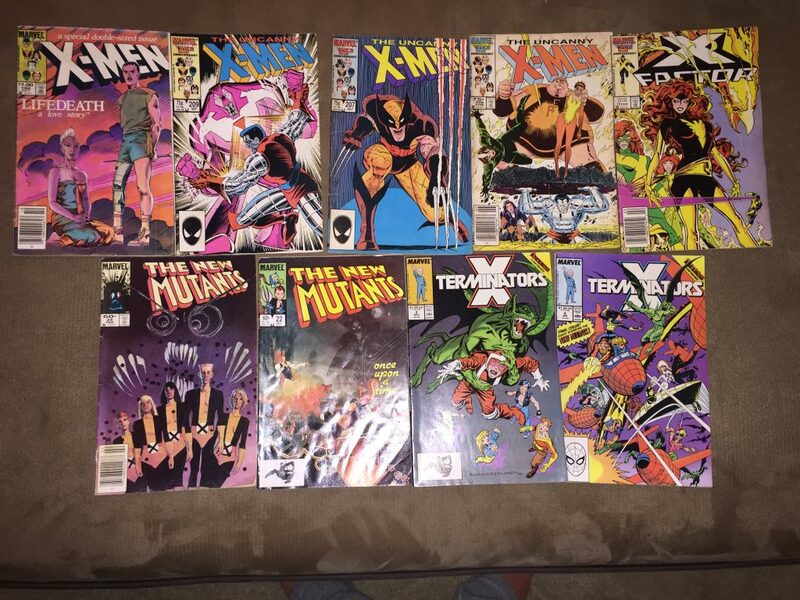 I am working on filling in my x-men run from the 70’s and 80’s. This was one of, if not my favorite book overall when I was a kid. These all fill gaps in my collection. They are books I missed out on for one reason or another back in the day.